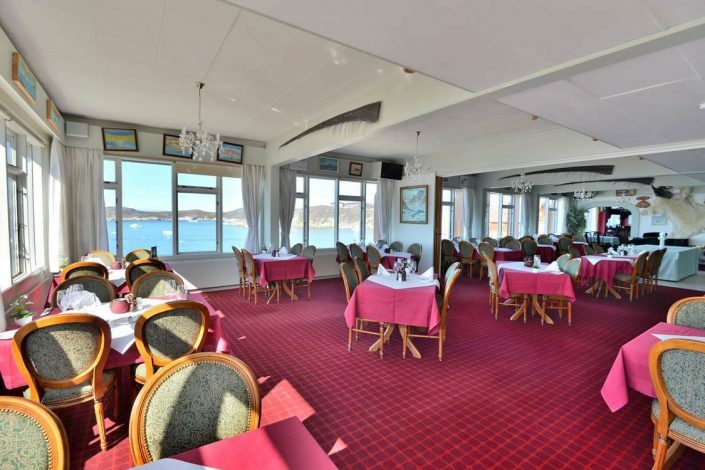 The rooms, restaurant and pub all overlook the fjord and the icebergs, and the views are wonderful. 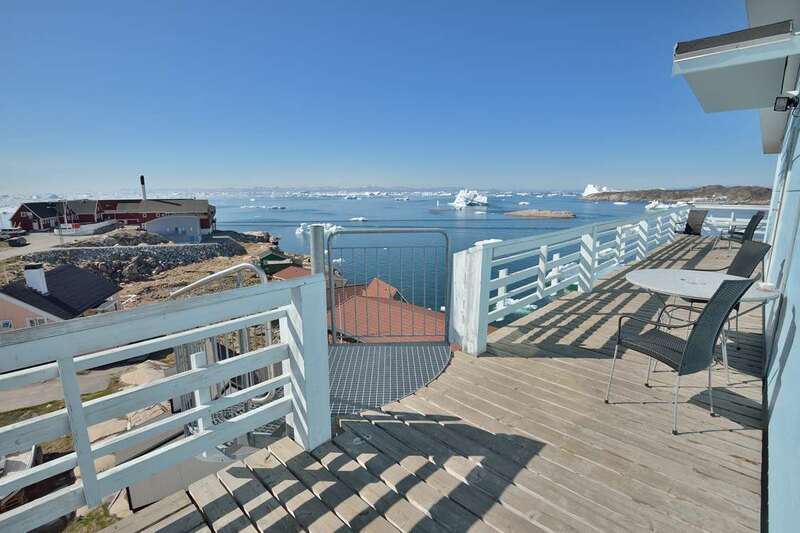 The restaurant offers menus based on Greenlandic ingredients with specialities such as reindeer, musk ox, salmon and trout from Greenland’s beautiful natural surroundings. It also offers the best of Thai cuisine. 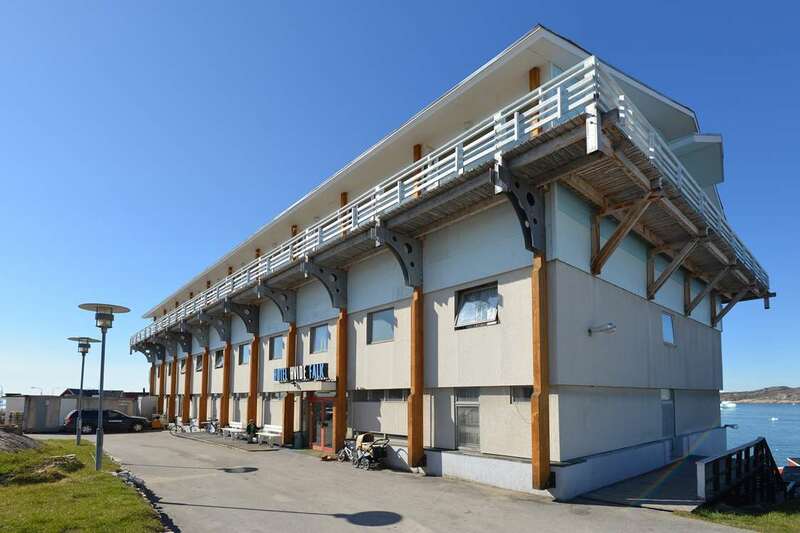 Hotel Hvide Falk offers sleigh rides in the winter, and in the summer you can go sailing on the fjord and visit Oqaatsut which is an old whaling town. You can also go on a boat trip to the settlement of Ilimanaq.